The 2017-2018 season marks the Cleveland Orchestra's 100th year and its 53rd broadcast season. A star-studded line-up of guest conductors and soloists help celebrate this milestone: Michael Tilson Thomas, Vladimir Ashkenazy, Daniil Trifonov, Alan Gilbert, Emanuel Ax, Alisa Weilerstein and more. 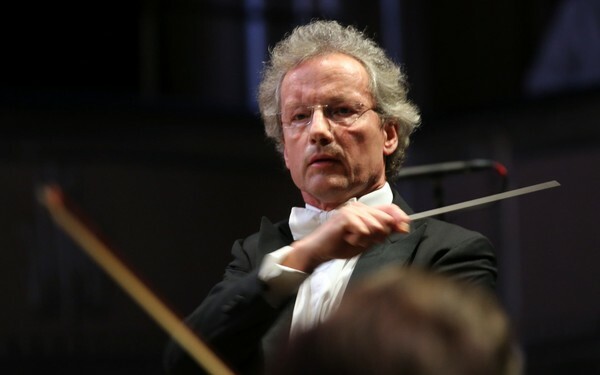 Music Director Franz Welser-Möst leads the orchestra in Mahler's 6th and 9th Symphonies as well as Wagner's Tristan and Isolde and Beethoven's 9th Symphony. The Cleveland Orchestra airs Wednesdays at 8 p.m. on Classical 91.5 beginning July 11, 2018. The Cleveland Orchestra sets standards of artistic excellence, concert programming, and community engagement. Even if you can't be at Severance Hall or Blossom Music Center in person, you can hear The Cleveland Orchestra each week in live or recorded radio broadcasts.